Charges are based on a minimum of 20 students. History Hill – includes museum, steam engine operated stamper batteries & underground mine – generally 1½ to 2 hours duration. 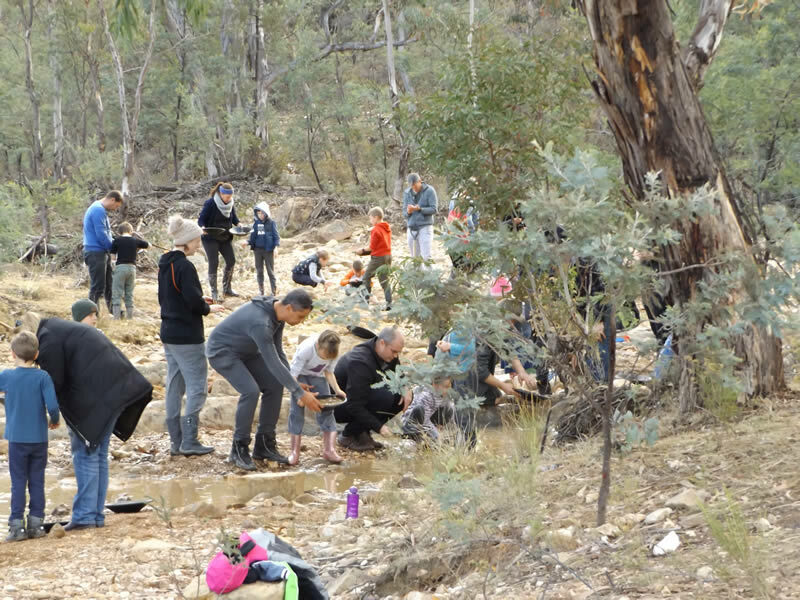 Gold Panning – 1 hour. Village History Tour – 1 hour guided. Cemetery Visit – at no extra cost with Gold Panning Tour, if time permits. Morning or afternoon tea: orange juice, muesli bar and cookies (tea and coffee for adults). Lunch includes: 2 servings sausage sizzle (optional egg), cordial (tea and coffee for adults). Halal and vegetarian alternatives available. A surcharge may apply for special dietary requirements.